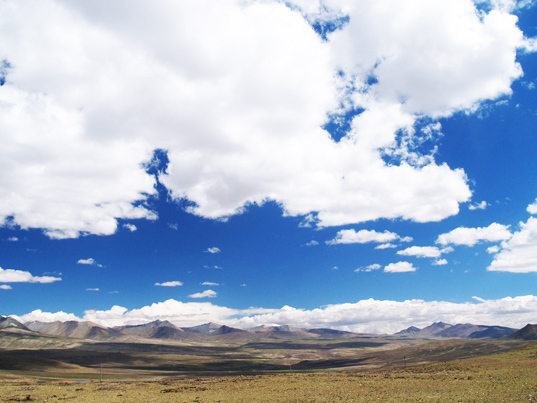 The Tibetan Plateau is known as the “roof of the world” for good reason – it’s the largest, highest place on the plant, lying between the Himalayan range to the south and the Taklamakan Desert to the north. Granted this, it’s not surprising to learn that SunTech Power Holdings are planning to take advantage of the region’s intense sunlight with a 10MW solar installation that will provide decades of clean electricity for thousands of local residents. The solar center will be located in Chek Kang village in Sangri County, Tibet and it will be the highest solar power plant in the world, measuring in at 4,000 meters above sea level. It will generate around 20,000MWh of renewable electricity per year and is expected to aid sustainable economic development in Tibet. While the region has always relied on hydroelectric resources for much of its power, shifting weather patterns have caused reduced water volumes and frequent droughts. As a result, it is hoped that solar power will be able to take up the slack. SunTech has been working actively in Tibet over the last few years and has donated more than fifty independent solar systems for schools, community centers, and houses in the region. They have even installed a solar system at Mt. Everest base camp in order to provide climbers with clean power. 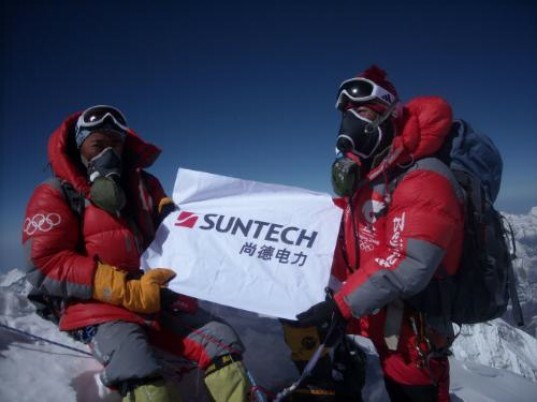 In gratitude, some climbers even took a SunTech flag all the way up Everest. It’s good to see a solar power company aiming high. The Tibetan Plateau is known as the "roof of the world" for good reason - it's the largest, highest place on the plant, lying between the Himalayan range to the south and the Taklamakan Desert to the north. Granted this, it's not surprising to learn that SunTech Power Holdings are planning to take advantage of the region's intense sunlight with a 10MW solar installation that will provide decades of clean electricity for thousands of local residents.